Crawley Eagles made an audacious bid to field former Sri Lanka captain Mahela Jayawardena in a Sussex League Division 3 match. The Langley Green based club have personal links with the Asian legend who has scored over 23,000 runs for his country in test matches and One Day Internationals. Jayawardena is currently in England playing as an overseas player for Sussex in the Nat West T20 Blast and was available to play for the Eagles on Saturday. 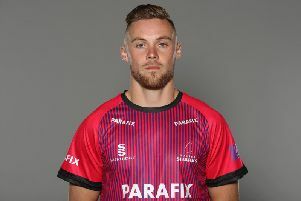 However Eagles were denied the chance of playing one of the best batsmen in the World by the insurance conditions on his Sussex contract and he wasn’t given permission by the League. Non Sussex based players that are contracted can only play in Premier League. Eagles chairman Ish Jalal said: “Mahela likes the club, had a free day and could play and the league were very happy with it. “But Sussex told us he was not allowed to play for another club while he is over here in case he got an injury which would have meant he couldn’t play for Sussex. “If he twisted an ankle on a hard council pitch so he couldn’t honour his Sussex commitments it would be a disaster and the insurance would not cover the risk of that happening. In the end Eagles didn’t need the little master’s services as they still managed to win, beating Haywards Heath by eight wickets. Ish added: “It would have been nice as he’s a genuinely nice guy - there’s no airs or graces with him. Eagles run four colts sides from under-nines to under-15s and a girls mixed age-group team with more than 70 chldren playing regularly and taking part in coaching sessions.